who work together to share our knowledge and talents for common good, ultimately benefiting you. United Aqua Group will accept no builder other than those who meet their strict standards for quality construction, business ethics, and impeccable reputations. Out of ten thousand pool builders in North America, fewer than 200 have been invited to this prestigious society. We're one of only seven in all of Florida. organization for swimming pool builders and industry professionals. We adhere to their code of ethics, which guides our customer relations and business standards. for 12 years in a row. Each year, the Pool & Spa News magazine researches all of the major pool and spa builders in North America based on strict criteria like longevity, customer satisfaction, quality rankings, awards, and more. part of the Brandon community. The Brandon community and the Brandon Chamber of Commerce have grown substantially over the last few years and the Brandon Chamber is one of only 27 5-Star accredited chambers of commerce in the United States. Tampa Bay Pools is honored to be recognized throughout the pool and spa industry for our hard work and dedication to customer satisfaction. We invite you to browse through our awards and affiliations listed below to see how we have stood out for our commitment to excellence throughout the years. Tampa Bay Pools is the Western Florida Member of United Aqua Group – We’re part of an exclusive society of top-notch pool builders from across the country who work together to share our knowledge and talents for the common good. 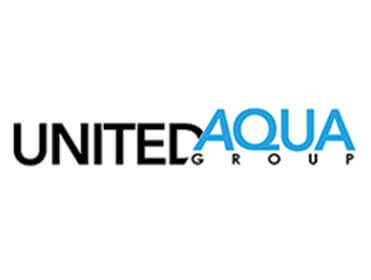 United Aqua Group will accept no builder other than those who meet their strict standards for quality construction, business ethics, and impeccable reputations. Out of ten thousand pool builders in North America, fewer than 200 have been invited to join United Aqua Group. (We’re one of only seven in all of Florida). 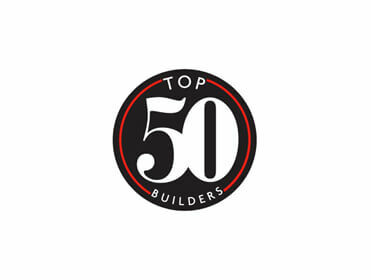 Top 50 Builder – Tampa Bay Pools has been recognized as a “Top 50 Pool Builder” by Pool and Spa News magazine, 12 years in a row. Extensive Showroom – We have more than 200 tiles, pavers, water features, and other options on display in our showroom in Brandon. You can see, touch, and feel the materials before you make your choices. Strong Warranties – Every pool comes with a Lifetime Warranty on the shell. The pump, filter, valves, light, and PDA all come with a three-year warranty. Low-Maintenance, Energy-Efficient Pool Construction – From oversized plumbing and filters to energy-efficient pumps, lights, and heaters – a pool from Tampa Bay Pools costs less to own and takes less time to maintain. Tampa Bay Pools is a Second-Generation Family Owned & Operated Business – owners Ken and Dan McKenna have followed in the footsteps of their father, Ken McKenna Senior. Together, they’ve built a reputation for customer service and customer satisfaction that no other pool builder in this area can touch. Recognized Leader in the Pool Industry – Ken McKenna Jr. serves in the Builder’s Council Statewide for FSPA and is a Director of the Local Chapter. Ken McKenna Sr. has over 20 years of experience in the business and has been recognized Nationally by several industry vendors and has been a keynote speaker at pool industry related functions. Tampa Bay Pools is a member of the Brandon Chamber of Commerce to better serve the interests of the community. 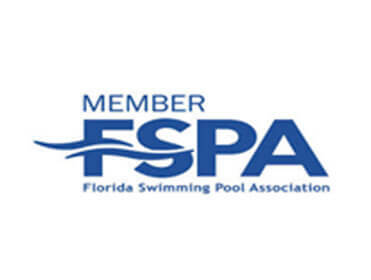 Member of FSPA – Tampa Bay Pools is an active member of the Florida swimming pool Association.